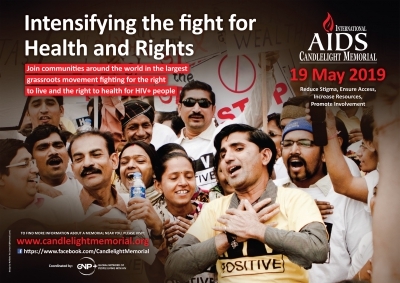 Sunday May 19 is the day Untenu Foundation – in cooperation with Mara Projecten – organises the fourth edition of AIDS Candlelight Memorial. For the third time in Rotterdam. Starting at 5 PM, free admission. Remembering our beloved ones who we lost because of AIDS. Welcome to our annual AIDS Candlelight Memorial service where we remember our loved ones we lost to the consequences of AIDS. Host Karlijn Bunnig (Mara Projecten) interviews Xandra Visser (member of the board of Untenu Foundation) about the struggle for health and human rights in Cambodia. Untenu’s singing ambassadors Meander & Bijoux wil lead the way in singing comforting songs. Anyone who wants to remember someone through a story and / or lighting a candle is very welcome. Admission is free, including food and drinks. Walk in from 5 PM at Adem Inn, Hoogstraat 27a, Rotterdam (few minutes walking distance from Metro station Oostplein.